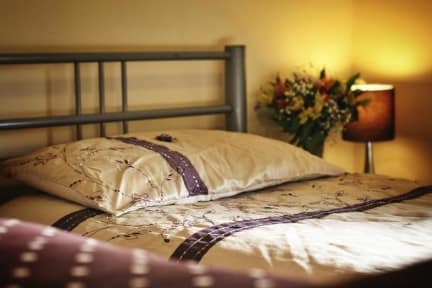 Beaconsfield is a basic, budget hotel, situated in Harringey on Green Lanes (A105) within 100 yards of Haringey Green Lanes Mainline Railway Station and five minutes walk from Manor House Tube Station. Guests at this hotel get to enjoy the benefit of being located above a traditional London pub. This atmospheric Victorian pub is a great place to soak up a real taste of traditional English life. You can relax with a drink or enjoy a game of pool,darts or maybe watch sports on the big screen. This comfortable hotel combines a peaceful location with a homely atmosphere, as well as easy access to Central London. This Hotel also has a fully equipped kitchen and ample shared bathroom facilities.